Alan has worked in publishing since the early 1980s, beginning his career with The Papers of Daniel Webster at Dartmouth College. He spent three years with Chelsea Green Publishing as a developmental and acquisitions editor, and has directed the book publishing program for the Vermont Historical Society since 1998. He has numerous other editorial projects to his credit over the past 20 years, including for Tupelo Press and its new LeapFolio imprint. 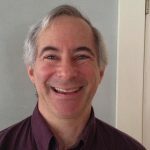 Alan has a Ph.D. in U.S. History and also works as a history educator with the Flow of History, a teacher education network in Vermont and New Hampshire. He has lives in Norwich, VT, with his wife, Nancy Cressman, who owns the used book store Left Bank Books in Hanover, NH.